YoyoFriends There are 2 products. The second official release from high end Chinese manufacturer YoYoFriends. 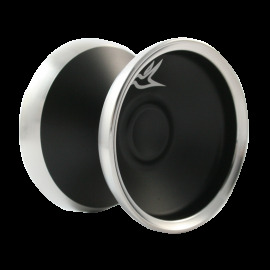 The Hummingbird is a bimetal design featuring a 7068 Aluminium Body and Stainless Steel rims. This provides a light-weight feel, smooth play and exception spin times. These were released in a very limited number, and we are 1 of only 3 stores to be able to stock them. The Magpie is the new Monometal from YoYoFriends. After making waves with the Bimetal throw 'The Hummingbird' - YoYoFriends have released a more affordable throw while maintaining a high standard of playability. Featuring a very wide profile, 7068 grade Aluminium and a concave 'V' shape - this is a fantastic addition to any collection.